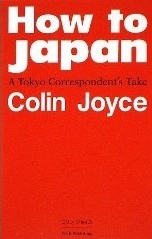 An excellent, highly-entertaining and easy-to-read book written concisely about everything a foreigner living in Japan would experience. I highly recommend this book to any foreigner who has lived, or is living in Japan, as you would find yourself giggling or guffawing at the similar experiences you have had from the start till the end of the book! The writer’s analogy of Japan to a swimming pool is highly imaginative, yet true (though I have hardly been to a pool in Japan). His difficulties with the Japanese language when he first came are probably some common experiences with which many foreign visitors would share. Even as we are starting to get used to the highly amusing sights, inventions and imagination in Japan after living her for a substantial number of years, it is always interesting to step back and travel back in time to when you first arrived to see everything all over again. Perhaps I have gotten used to the politeness and courtesy of Japanese, but when I read about the writer’s experience with a true gentleman in Japan, it almost moved me to tears, causing me to realize how numb I have become with all the “ritualized” (or not) politeness around me. Even with the varying levels of Japanese mastery of foreigners living in Japan, the experience can be quickly summarised into one phrase: the gaijin experience. The writer wrote about the dilemmas between turning native (that is, to conform to the society), and sticking to your own traditions, in which I sometimes find myself stuck in limbo too. The writer claims that “the Japanese are the most honest people in the world” because “in all countries people tell lies. But the Japanese are perhaps the only people who regularly and openly admit that this is happening, happily telling you about honne and tatemae.” Whilst there is more to just telling lies when comparing honne and tatemae, I have a similar sentiments with regards to what he wrote. Last but not least, this book ends with a quote, a message to Lafcadio Hearn from Basil Hall Chamberlain in the 19th century. “Do not fail to write down your first impressions as soon as possible. They are evanescent, you know; they will never come to you again, once they have faded out; and yet of all the strange sensations you may receive in this country you will feel none so charming as these.” It’s my third year in Japan. I am glad that I have written down things about Japan since my arrival, yet at the same time, I regret not having written more, and not having them put into concrete words or texts.